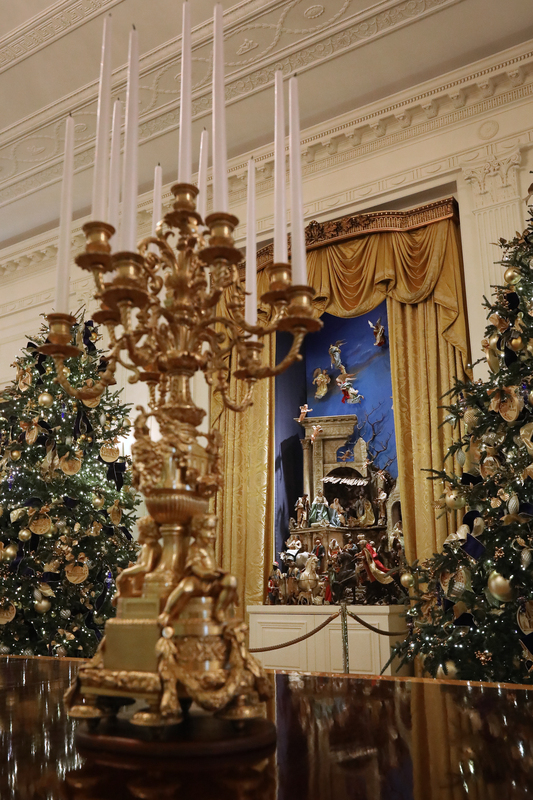 The media have returned for the time-honored tradition of bashing the First Lady Melania Trump’s White House decorations for absolutely no reason. 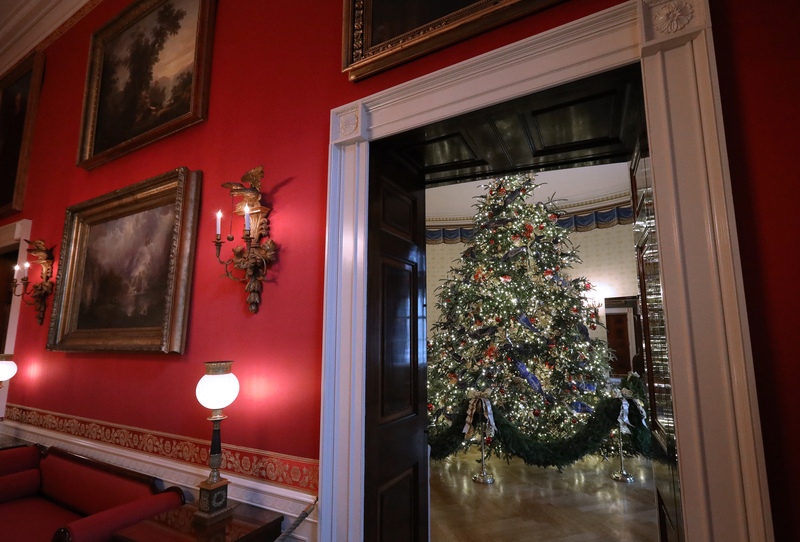 It’s a sad commentary that many in this overwhelmingly liberal profession cannot set their partisan seething aside for a moment to appreciate something as harmless as the decorations in the White House. 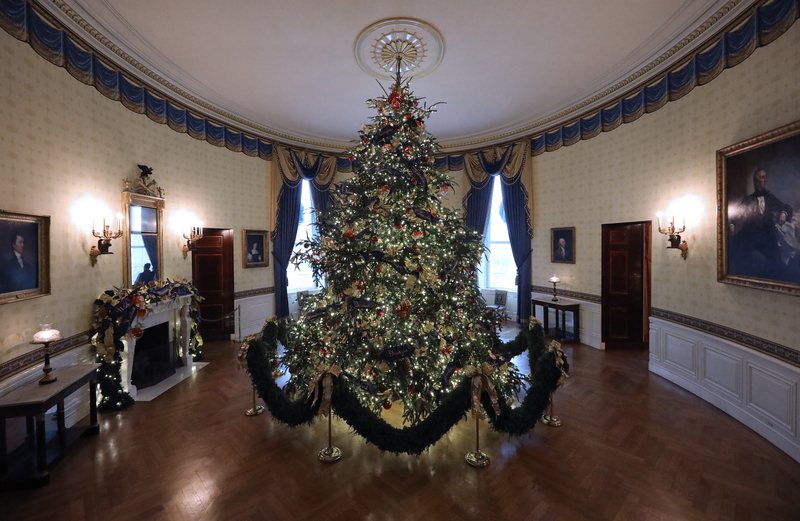 Here is a thoughtful suggestion for the haters: Go to the White House during Christmas time. 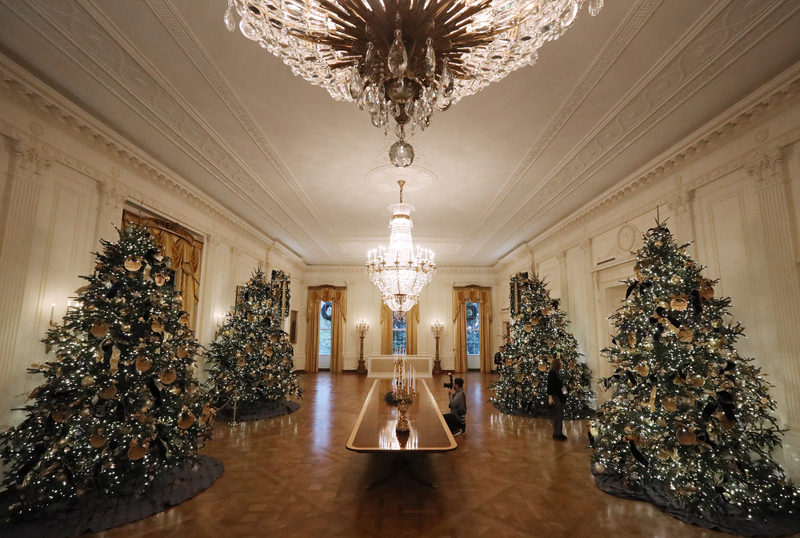 I took the opportunity to see the decorations first-hand last night for a press preview. The preview was the last of the day, at 7:30 PM. 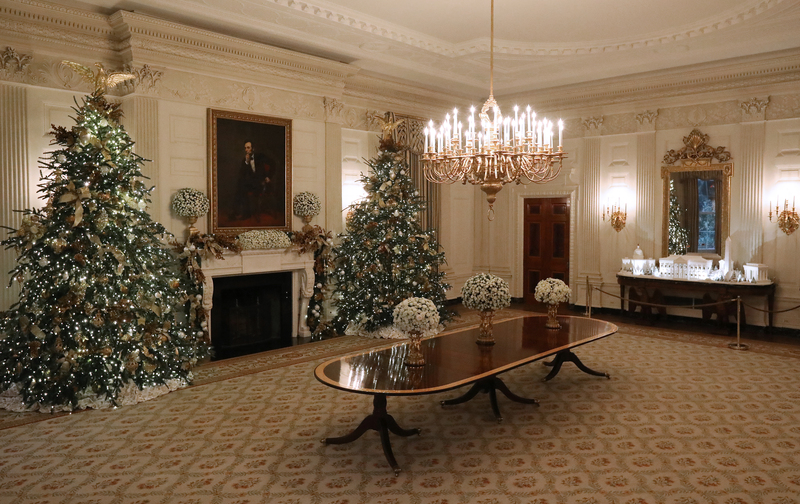 The sun had long since set and the White House was deserted as I entered. I walked into the eerily quiet press room and waited for our call time. 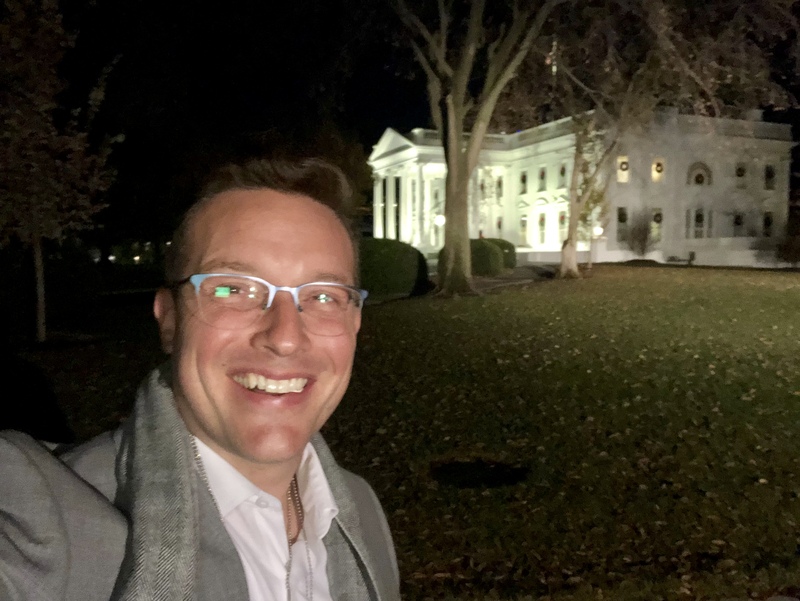 At 7:30 I gathered in the freezing cold outside the Palm Room doors of the East Wing. I was joined by only one other reporter. 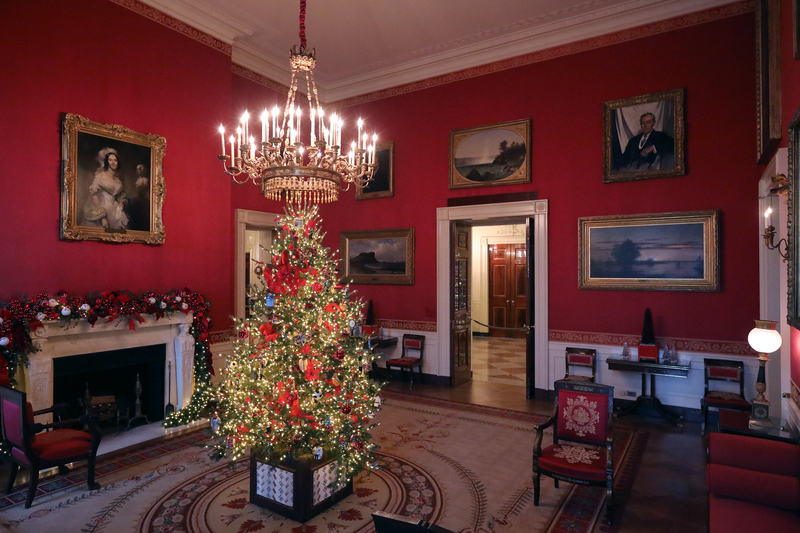 A member of the First Lady’s staff met us and commented on how nice it would be to have the entire East Wing of the historic White House all to ourselves. 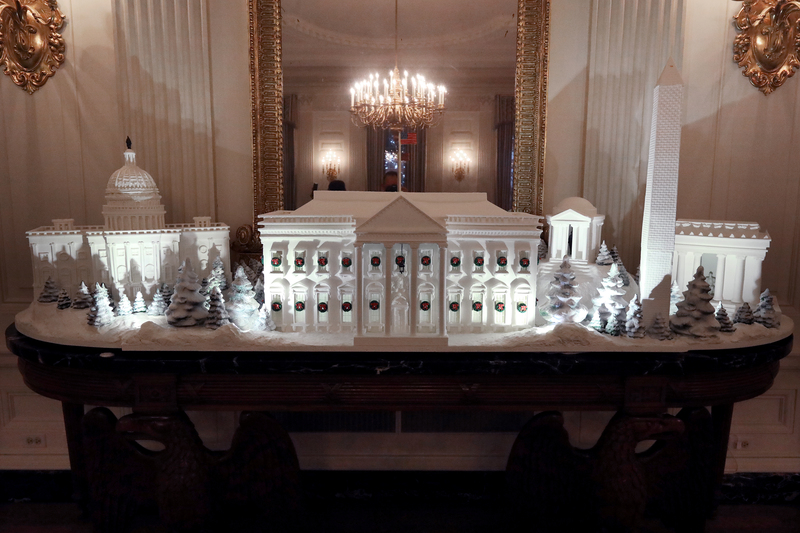 It wasn’t just nice — it was beyond my wildest expectations. 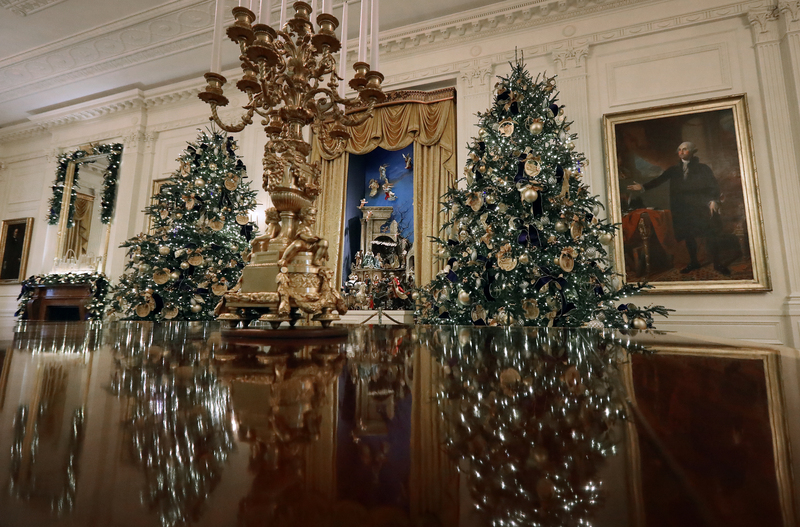 It’s quite an experience to be the only guest, wandering free in the White House. But on Christmas? It’s next-level. 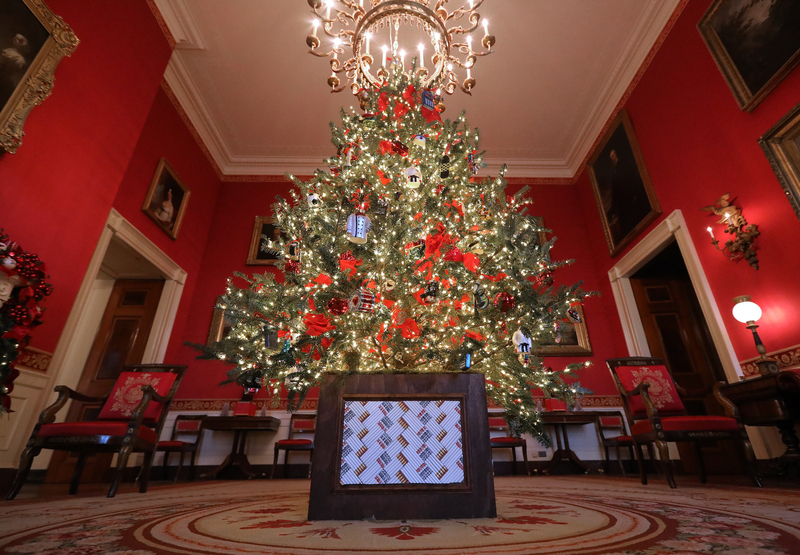 There was something magical about the 200-year-old house – done up in grand, traditional Christmas fashion. 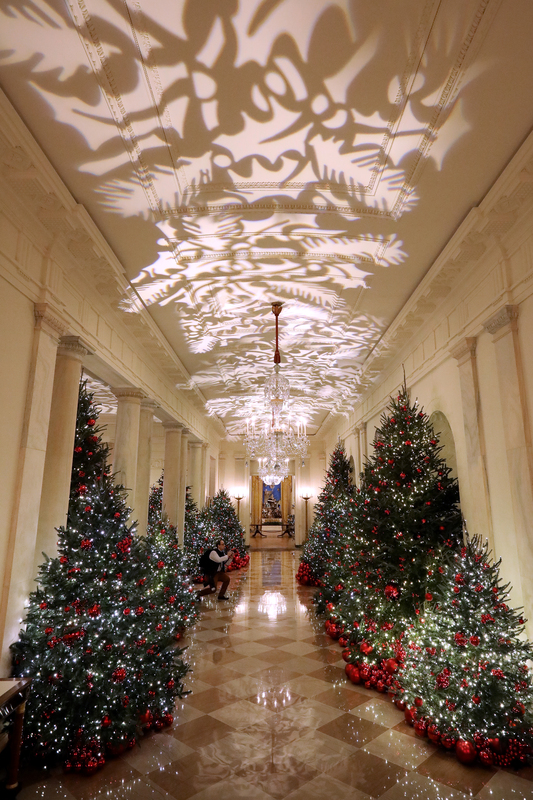 Every room of the White House was open and glowing. 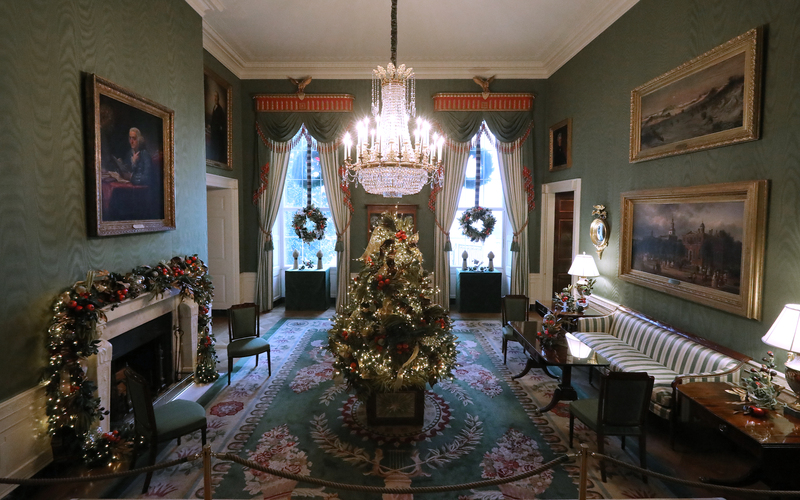 The rooms were dripping in history and twinkling Christmas lights. 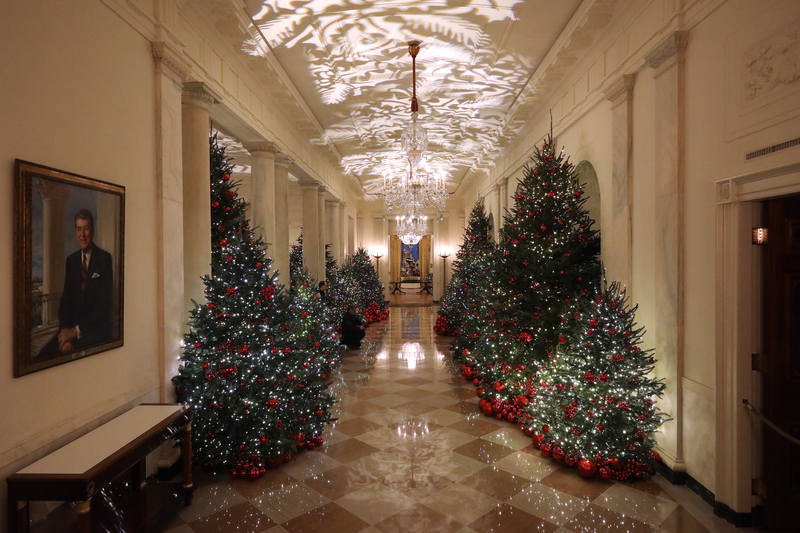 The halls were decked. 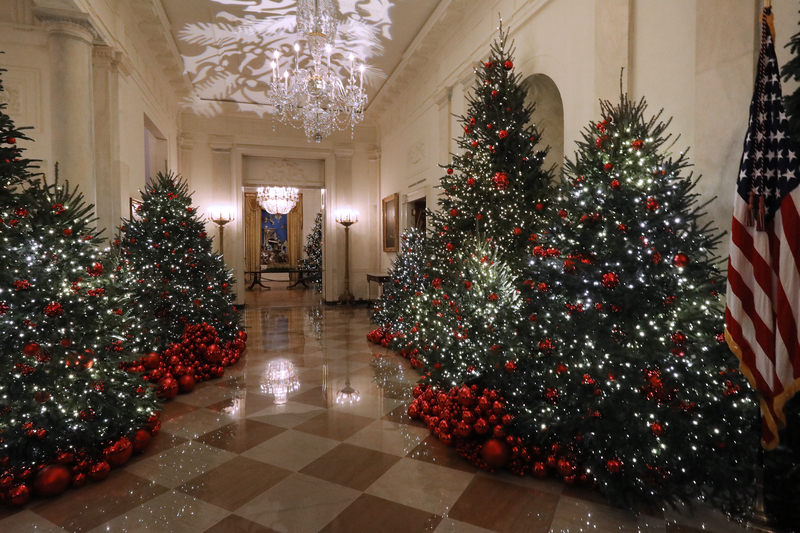 To have the liberty to wanter the rooms freely at night, with nothing but the glow of Christmas lights illuminating, is an experience. 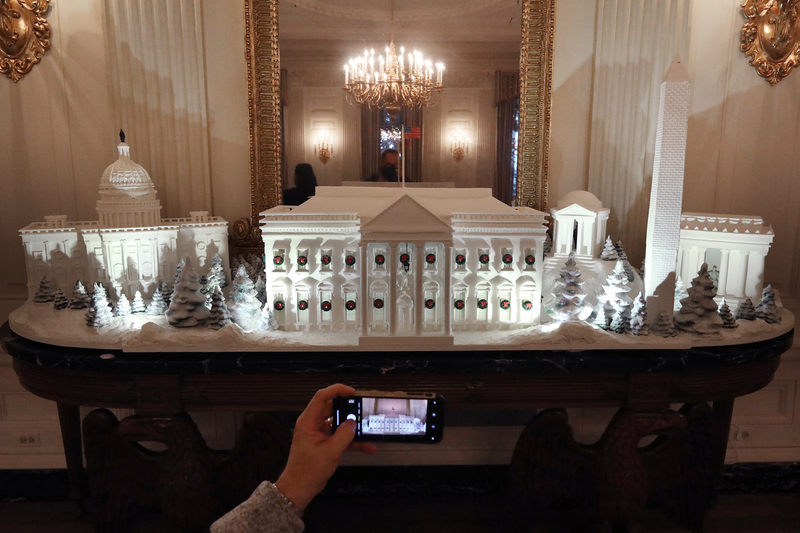 To say it was a private tour was nearly correct — with one big exception. 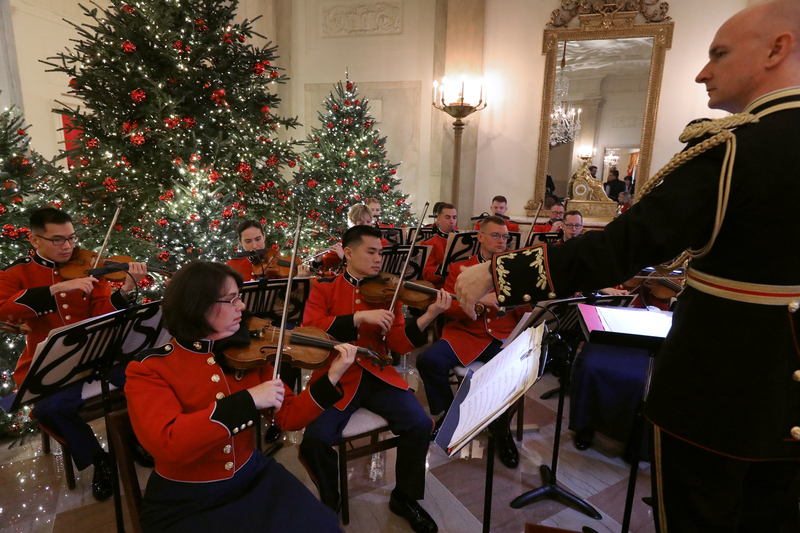 As one walked up to the second floor of the mansion, it became clear the Christmas music playing throughout the house was not a soundtrack — but 20 members of “The President’s Own” United States Marine Band, dressed to the hilt, playing a mix of modern and Charles Dickens-era classics. The music could be heard dancing through the house. 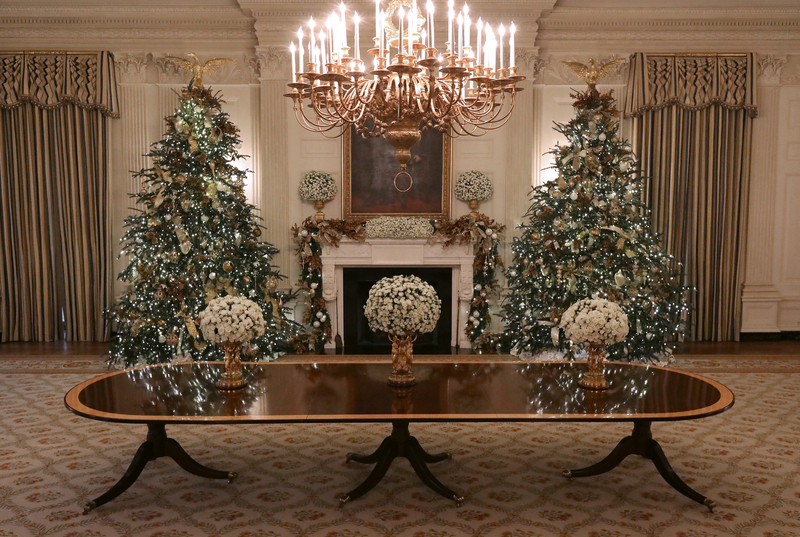 One feels almost embarrassed being the only guest for a private concert of the most celebrated and elite bands in the nation, wandering the White House as they play for your entertainment. It was incredible. 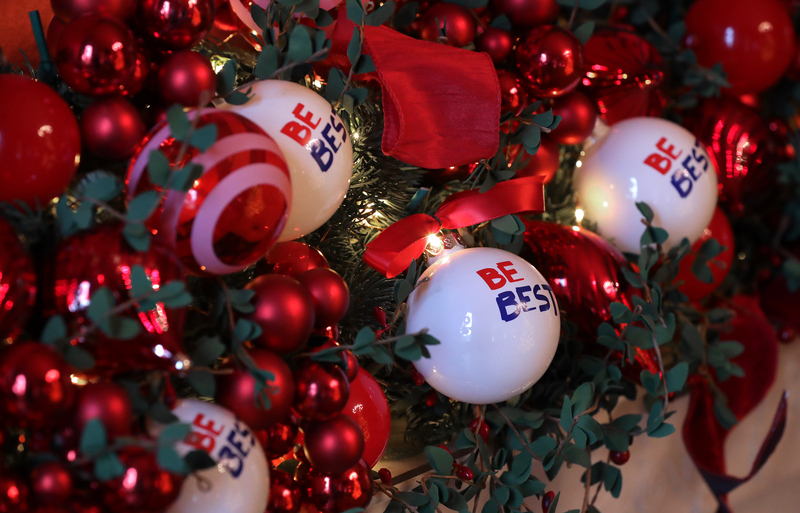 The decorations dazzle as one walks from room to room. The old mansion comes alive. 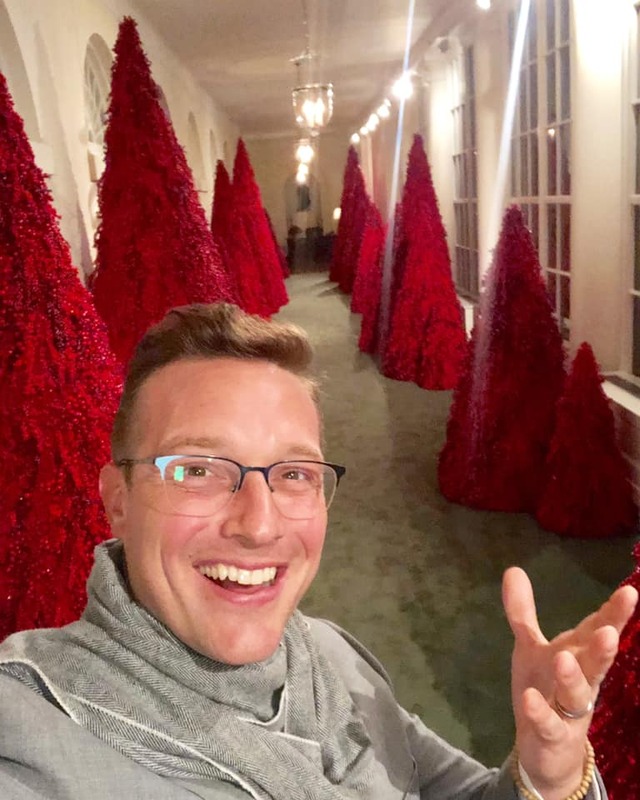 Even the much-maligned “Red Christmas trees of death” would melt the stone heart of the most bitter critic. 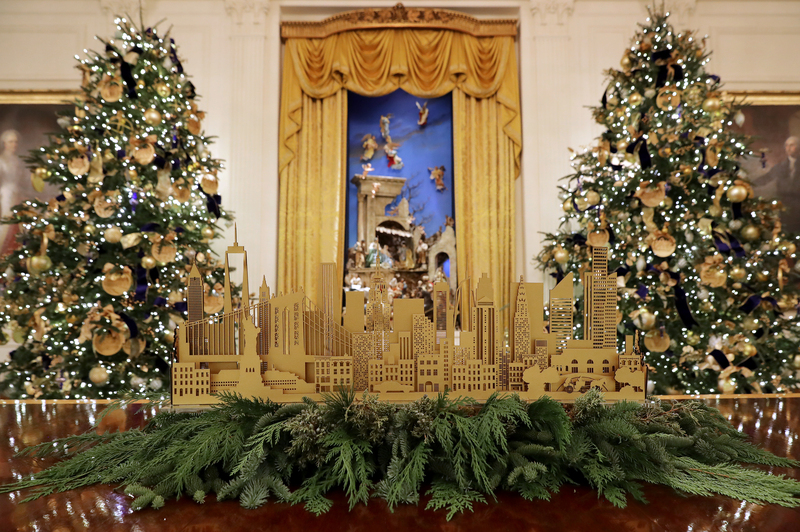 To to the harshest critics of Melania, I implore you: Go see the decorations for yourself. And what happened, then? 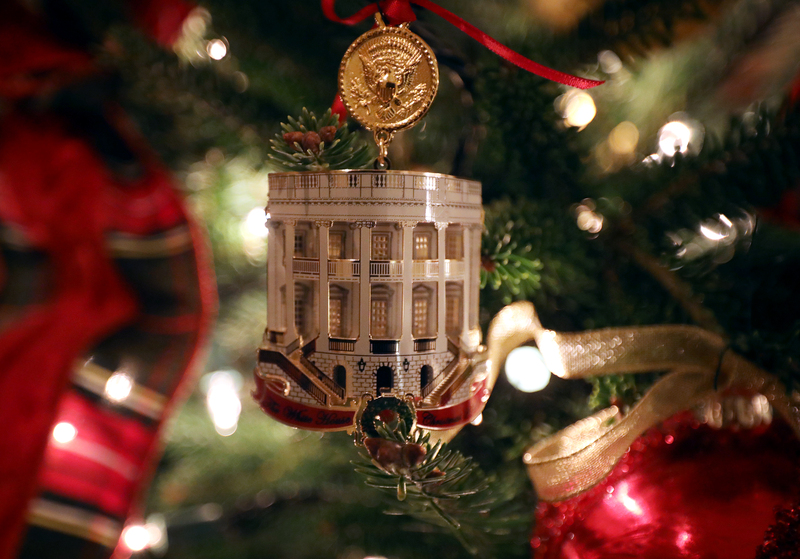 Well, in Washington they say — that the media’s small heart grew three sizes that day.